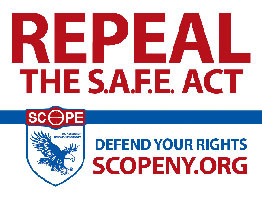 Donations from the “REPEAL THE SAFE ACT” yard signs, donations from the bumper stickers, and outright donations directly to us are the only sources of income that the Chautauqua County Chapter of SCOPE has. Out of this money comes the original cost of the yard signs and the bumper stickers. Also out of this money comes the cost of our bags of literature (information, membership brochure,etc.). The transportation costs for attending the various sportsman’s shows and events comes out of individual’s pockets. We are doing the design and development of the website on our own. There is still domain registration and website hosting. “REPEAL THE SAFE ACT” yard signs for a $10 donation each. These are available at any of our meetings or events plus the following business locations. Two different Bumper Stickers for a $2 donation each. These are available at any of our meetings or events. Other items such as caps, sweatshirts, etc. are available too. 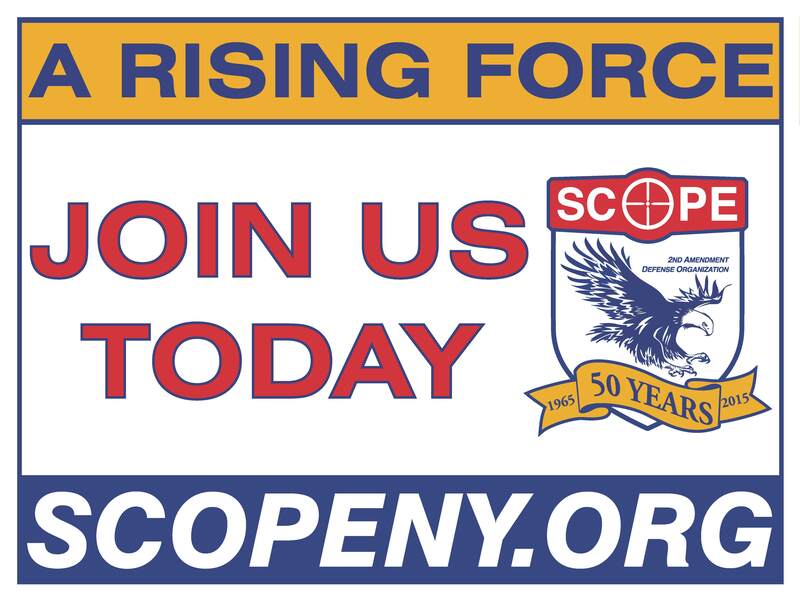 A better list of those items are in the SCOPE membership brochure which can be found on the Join webpage.